Every time I think I cannot like a new flavor more than the previous, I am surprised. I really liked the strawberry cream in the middle against the dark chocolate of the cookie. A perfect valentine treat. Cream softened cream cheese on low for 1 minute to get fluffy, add the pudding packet and 2 tbsp heavy whipping cream, beat until fully incorporated and slowly add the whipping cream and beat until peaks begin to form. or for alternate version, prepare the pudding w/1 cup cold milk and bourbon, mix w/cool whip. Place in fridge for hour to let either version set up. Make these as quickly as possible! 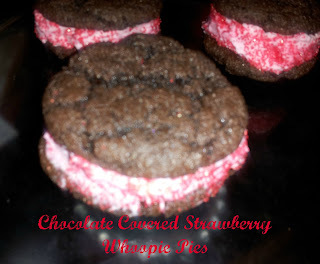 3 comments on "Whoopie Pie Wednesday: Chocolate Covered Strawberry"
These look delicious! 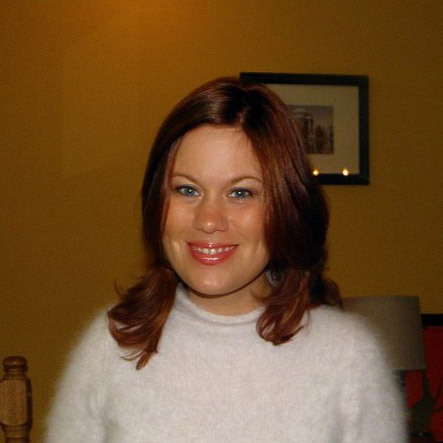 I am a new follower from the GFC blog hop! I hope you have a great weekend! Found you from mingle monday and I have to tell you that I love the fact that you have a whole tab devoted to whoopie pies!! So many of my friends are from up north and I have no idea what I mean when I tell them about it..glad to know you are spreading the delicious love through the blog world!